We are engaged in offering 11 KV Indoor Ring Main Units, which consist of 2 units of 11 KV, 630 Amps, triple pole, continuously rated load breaking switches. These units are suitable for indoor installation and can be made extensible on each side. Quick break and air break is facilitated with the help of the manual i.e. fault making load breaking switches, which are also known as RMUS. In order to control an incoming/outgoing 11 KV feeder cable, these units come with allied bus bars and connections. 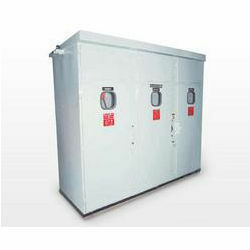 These units are suitable for 11 KV systems. Clients can avail from us 11 KV Outdoor Ring Main Units, which are used for transformer mounting to E. A. T. S 35-1. These units are suitable for outdoor application and can be used as freestanding units. 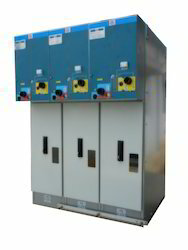 For connections to industrial and commercial sites, these units are used in transformer substations, distribution switchboards and ring distribution networks. Multiple panel switchboards are formed by direct coupling of extensible ring switches, air insulated metering units and circuit breakers. This process does not require accessing gas insulated chambers or additional cabling. Looking for Ring Main Units ?